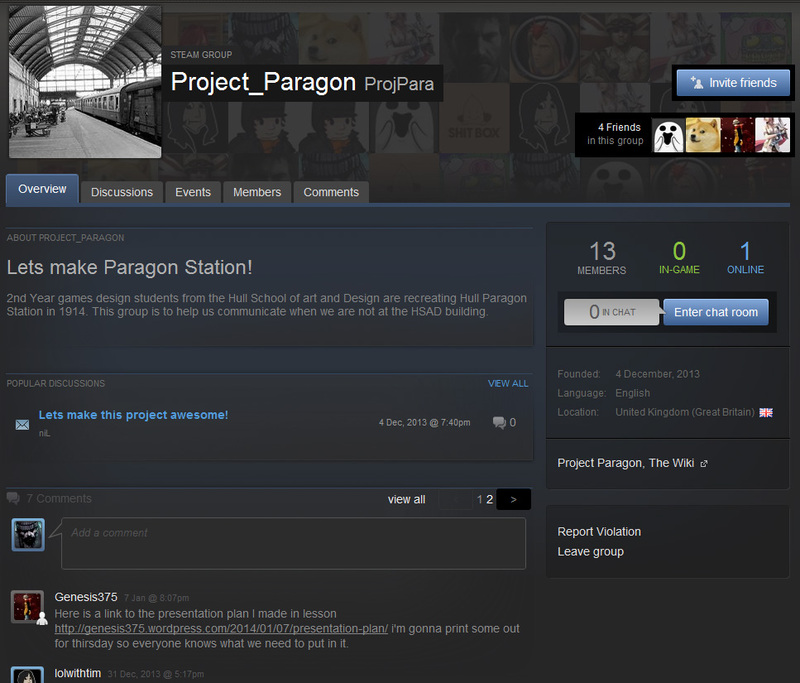 For the Project Paragon we created an development blog in the form of a wiki so that it could be updated regularly updated by each group member during the project so everyone knew what everyone else was doing making it easier to keep on track. We also created a steam group so it was easy to keep in contact with everyone in the group again making it easier to keep track of development. 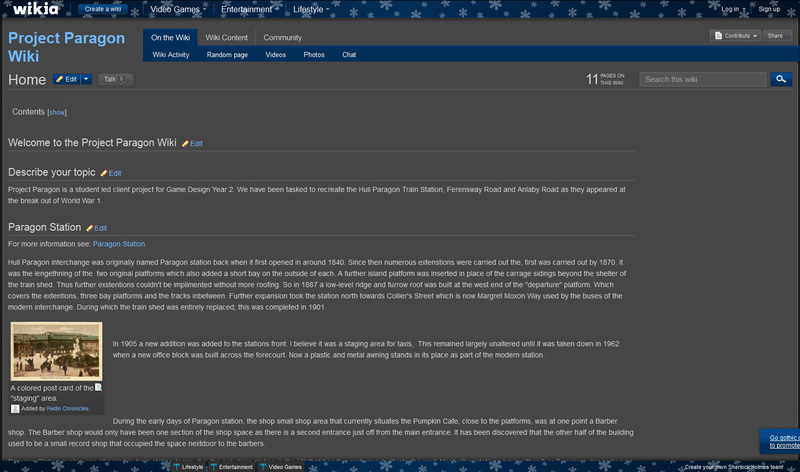 The wiki wasn’t really used as much as it should of been, this is probably because we see each other 3 times a week so most of the time everyone knew what other people where doing anyway, but hopefully will be used more for the second half of the project.